With our superior septic services, you can enjoy a trouble-free system for many years to come. 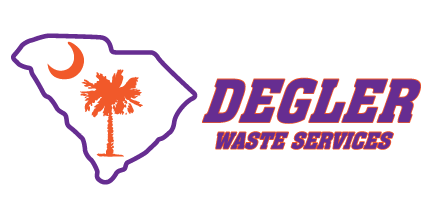 Since 1965, Degler Waste Services has been the preferred septic company for collecting waste in the Beaufort, South Carolina area. We offer a variety of septic services, including inspections and pumping that will keep your system operating properly and assure you of the many years of service it is designed to provide. We recommend pumping the septic tank every 3-5 years so that the heavy solids do not make their way out to your drain field and create a blockage in them. Routine maintenance is the key to a successful septic tank system. Pumping your septic tank out on a regular basis is like changing the oil in your car. The more often you clean it, the longer and better it should perform for you. It is our dedication to providing top-quality septic services that has made us the #1 choice for homeowners and businesses that rely on a properly functioning septic system. Since 2007, we have been a reliable source for portable toilets and construction debris containers. We also offer jet cleaning for storm drains and sewer lines, along with pumping out manholes, lift stations and car wash bays with our 2016 Vac-Con. Sewer and storm drain line systems need regular cleaning, especially during storms, when an abundance of debris tends to collect in these pipes. Our vac truck provides jet cleaning using high-pressure water nozzles to effectively flush out dirt, litter, sludge, and any other form of garbage from pipelines. At Degler Waste Services, we offer high-quality septic services in Ridgeland, Wellford, Lyman, Spartanburg, Inman, Tryon, Landrum, Greer, Taylors, Greenville, Mauldin, Simpsonville, Travelers Rest, Pumpkintown, Lady’s Island, Bluffton, Hilton Head Island, Hardeeville, Beaufort, and Walterboro, South Carolina, as well as Savannah, Georgia.